Our aim is to provide you with a very relaxed atmosphere in which to view, consider and purchase your ideal motorhome or camper with the benefit of helpful advice but with absolutely no pressure selling. 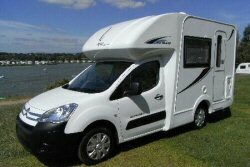 Whether you call it a motorhome, motor caravan, camper, RV, we have a variety of vehicles in stock. Located at Croft Farm, Bredons Hardwick, Tewkesbury (close to M5 J9). Vale Motor Caravans is a family run business with over 20 years’ experience, specialising in finding the right leisure vehicle with the best deal for you. We are ideally situated in the Midlands with easy access from the M5 (Jct 9), close to Cheltenham, Gloucester, Tewkesbury, Bristol, Worcester, Stratford upon Avon and the Cotswolds. 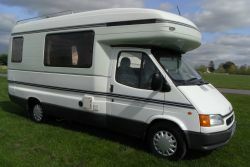 We know that buying a motorhome, campervan, camper or motor caravan can be a challenging task and getting a quality product, backed with good service and advice, at a reasonable price is important. Our aim is to ensure your satisfaction, provide you with a very relaxed atmosphere in which to view, consider and purchase your ideal motorhome or camper with the benefit of helpful advice but with absolutely no pressure selling and to make the process as easy as possible. We have a choice of van conversions and coachbuilt vehicles, fixed and elevating roofs and high tops. Car derived motorhomes that could be used as a dual purpose vehicle with the luxury of camping facilities or a larger vehicle for the trip of a lifetime. We are also Nu Venture agents, please contact us for further details. Our motor caravans offer something for everyone’s taste and budget from £6,000 to £30,000 so you’ll be sure to find something that is perfect for you. If you are looking for a motorhome or camper we don’t have in stock then please let us know and we will do our best to locate it for you. We have experienced staff to hand to help, advise and fit any accessory you have. We can also help you source any accessory you would like fitted. It is always worthwhile contacting us, as or stock changes frequently. If you are looking to upgrade your motorhome or change from a caravan to a camper or motorhome, we are more than happy to take in part exchanges. If you want to sell your vehicle direct to us or on a broker agreement, please contact to arrange an appraisal/valuation. Please feel free to browse over our selection of stock on the website, or alternatively phone Paul Tolley on 01684 773482 or 07974 180945 - we're always happy to have a friendly chat. 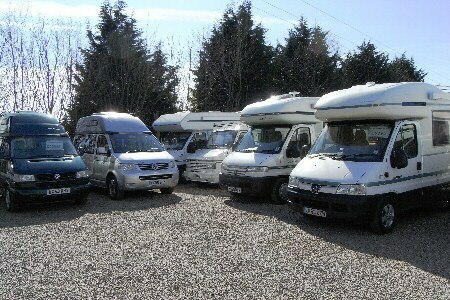 See a selection of our current stock of motorhomes, motorcaravans and campervans for sale. 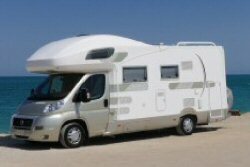 We offer friendly unbiased advice on the purchase of your new Motorhome.